Scott is currently a Major in the USMCR and has served the Corps in a variety of legal and non-legal billets. He has extensive experience in prosecuting and defending service members at court-martials, NJPs, and administrative separation boards. Along with representing hundreds of service members in court-martials and adsep boards, Scott has the ability to negotiate directly with your convening authority. Scott served on the staff of several flag officers, including as an aide to a four-star general, an assistant and deputy SJA to several two and one-star generals, and as a special staff officer to a one-star general. His diligence led to one of the only clemency meetings ever allowed by former Commandant James Conway (which result in 2-years being removed from his client’s 5-year sentence). Scott will make sure your case is personally reviewed by the ultimate decision maker --- not a prosecutor looking out for his or her own career. Scott’s previous law firm also handled extremely high-profile white collar defense cases, including CEO’s, CFO’s and Cabinet Secretaries. These defendants paid millions of dollars for attorneys of Scott’s caliber. 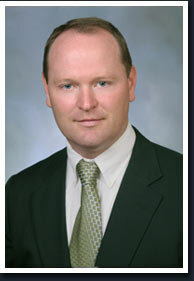 Scott is a proven litigator with experience handling complex and high profile cases. He will ensure that you receive the defense you deserve. Copyright 2010 Scott Bielicki, Attorney at Law. All Rights Reserved.